I write "Little Miss Lily" but she really isn't so little anymore. My baby girl has turned 7! How did that happen? No, really HOW??? 7 years since my little girl entered the world a month early. She spent a week in the NICU which was hard on mommy and daddy but she has been growing like a weed since and dancing her way through. Lily is so full of love, kindness, (ahem attitude), joy and is a budding artist. She loves school (but mostly CampFire...after school care), she loves to read, dance, loves being outside, loves sweets (no idea where she gets that from) and spending time with her family and friends. Lily makes us laugh every day and we are so thankful for this very special "little" girl. This year for her birthday she wanted a dance party. So we teamed up with Abernethy Performing Arts where her teacher(s) Miss Christy and Miss Peace hosted her party. Lily LOVED it! To see her sharing her love for dance with her friends (whom almost all dance as well) was amazing. Here is a photo of Lily with her teachers/party hosts. Since Lily is a big fan of sweets I let her pick out her cake at Fat Cupcake here in Oregon City! She saw this one in the case and it was a done deal. Can you blame her? It was adorable and delish! My favorite photo from the party was this silly photo of everyone at the end! It really just sums it all up! Sometimes photos just fall perfectly into place for me. The imperfectness of this photo makes it perfect. And, Lennox...KILLS ME! Surrounded by girls as per his usual. Dont worry he LOVES it! 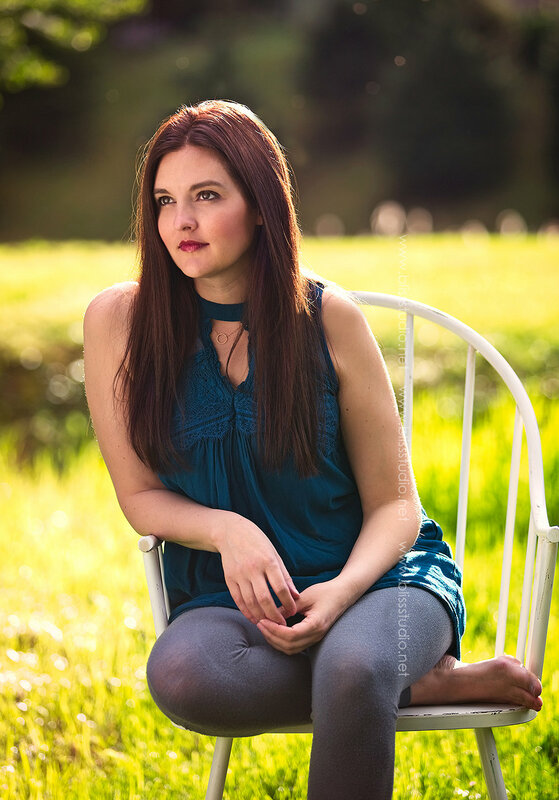 As our annual tradition continues I always try to have a little mini birthday shoot for Lily. Or at least try and get one good photo of her celebrating her new age. 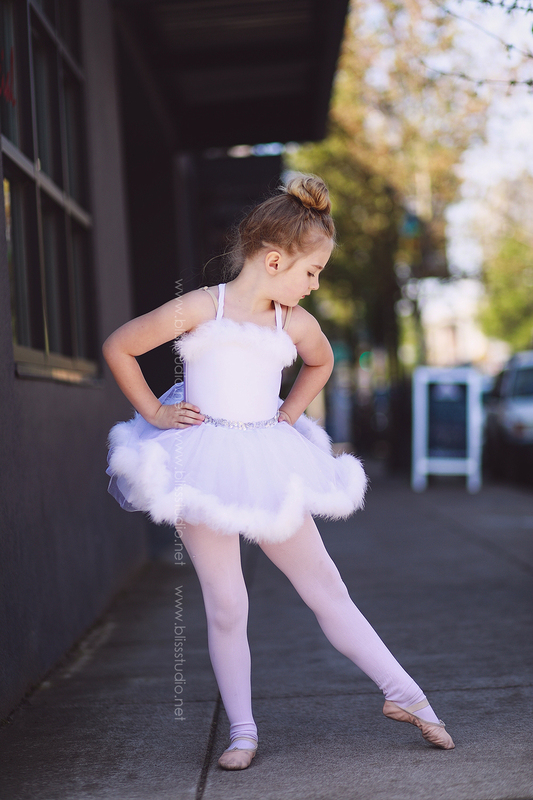 This year we stuck with the dance theme and headed to downtown OC for an Urban Ballerina session. She borrowed a costume from her besties Kylee and Avery who brought a bag full of their old costumes for her to try (Lily was literally in HEAVEN). These photos are so special to me. Lily has been taking dance since she was three and she makes me proud. She may not be the best dancer in her class but she has the heart for it and I hope she decides to stick with it. The performances and costumes are her favorite and the best reward for a term of hard work preparing for it. 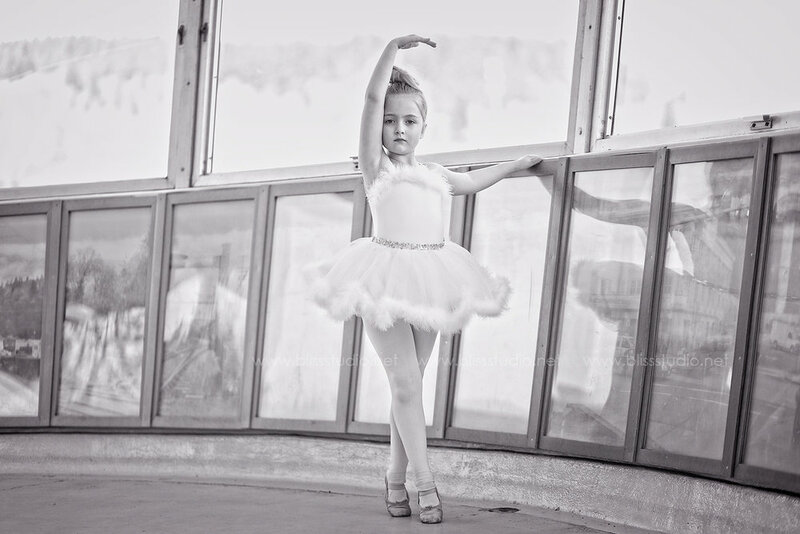 Here is a couple of favorites of my graceful little ballerina. Lily turned 7 at the end of April so I am a little late posting this. But I didn't want to miss out on sharing! A huge thank you to Abernethy Performing Arts for allowing us to celebrate at the studio and to Christy and Peace for dancing with the kids!